Dave Waldien (Sr. Director of Global Conservation at BCI) and I just returned from a week long trip to Rwanda where we met with key stakeholders to help initiate a bat conservation initiative at Nyungwe National Park using acoustic detectors to determine the population status of a critically endangered bat – the Hill’s horseshoe bat (Rhinolophus hilli) that is an Albertine Rift Endemic and only known from a few historic records from Nyungwe National Park in southern Rwanda. As the meeting was primarily an initial site visit to assess the feasibility of initiating a study in collaboration with local partners (including WCS and the Rwanda Development Board), we didn’t collect any data on this initial trip. Although we did bring the SM4BATs to show the local partners what the units look like and what they are capable of. In addition, I gave a presentation and demonstration to students at the Kitabi College of Conservation and Environmental Management. The students were all very interested in the Echo Meter Touch and echolocation analysis and eager for more information and more training opportunities. 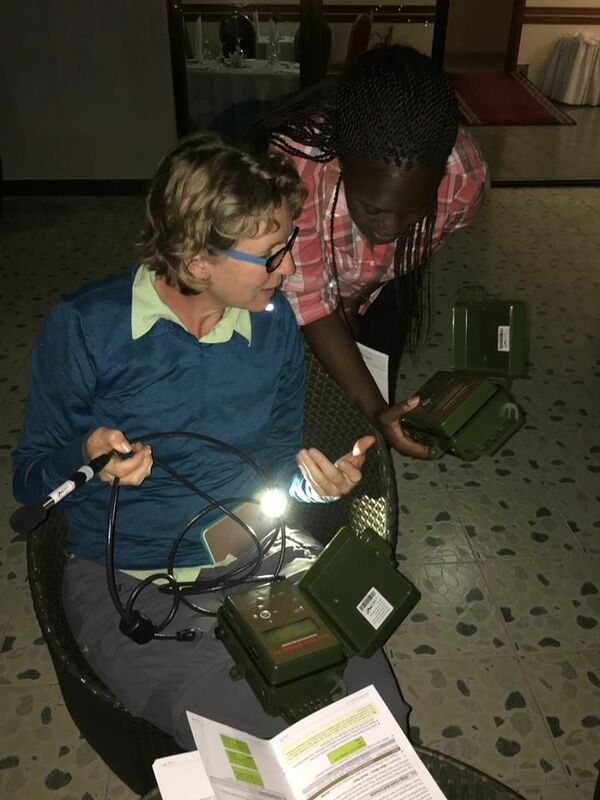 We’re in the process now of writing some grant proposals to fund future work there and hoping to do a bat-blitz style training/workshop to help build an echolocation call library for Nyungwe to help facilitate bat research and conservation in the park. Nyungwe National Park is one of the largest tracts of African montane rainforest left intact and a truly spectacular place. The park was created in 2006 and is actively managed by both WCS and the Rwanda Development Board. Currently, WCS monitors birds, primates and other mammals but knowledge about the bat fauna is still in its infancy. Dr. Paul Webala from Kenya has done some initial surveys there and our work is in partnership with him and Dr. Julius Nziza from Rwanda. Paul uses Wildlife Acoustics detectors in Kenya and is building an echolocation library there was well. We’re hoping to incorporate SM4s into existing transect survey design in Nyungwe carried about by WCS – we will definitely keep you posted as those plans solidify and we can that program up and running.